Having a well-stocked pantry is key to whipping up meals for both busy weeknight dinners and leisurely weekend events. Whether stocking up on extra items at a good price or purchasing a particular spice for use in an interesting recipe, pantries can become filled quite easily. But how long do those items really last and why is it important to monitor them? Paying attention to the shelf life of food items in our pantries helps to reduce food waste and allows us to use the highest quality ingredients in terms of nutritional value and flavor. Some items, like canned goods and salt, can last years before quality begins to degrade. Others, such as flour, spices, nuts and oils, may last only a few months before losing flavor or even turning rancid. 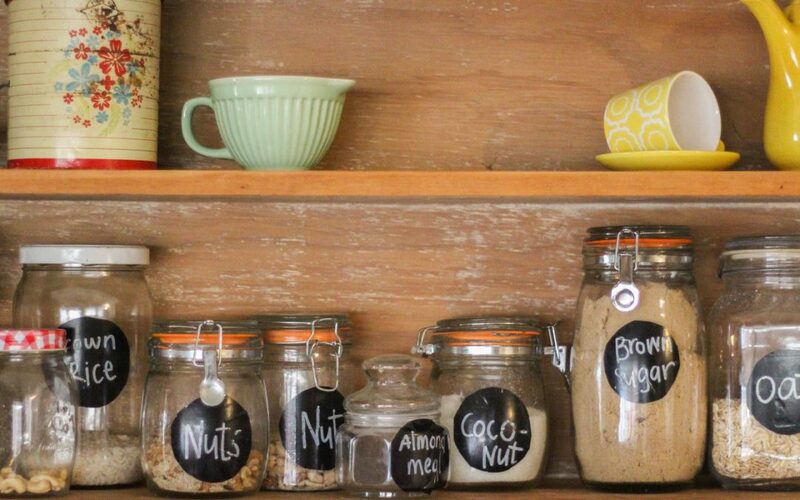 To make the most of your pantry items, try these pantry management tips. Highlight the “Best By”, “Use By” or “Expiration” dates on packages. If no date is posted on the product, write the purchase date on each item. It will not reflect the full shelf life of the items but will provide a general target date for when the food item may begin losing nutritional value and quality. “Best if Used By / Before” indicates when a product will be of best flavor or quality. It is not a purchase or safety date. “Use-By” date is the last date recommended for the use of the product while at peak quality. It is not a safety date except for when used on infant formula. Use the “first in, first out” strategy, placing the oldest items in front of the pantry for earlier use and new items behind. Review your pantry when planning menus to ensure use of all items. Consider substituting different ingredients in recipes as a way to use items on hand and create a new twist on an old favorite. Discard any cans that appear swollen, dented or rusted, as this may indicate the seal is broken allowing bacteria to contaminate the food. Airtight storage containers are a pantry item’s best friend! For maximum freshness, store food items in the original packaging, if appropriate, or transfer to an airtight storage option. For short shelf life and short quality life items, buy in smaller quantities to ensure freshness and quality. Short Shelf Life – nuts, seeds, flour, olive oil have shorter shelf lives and can turn rancid over time. Short Quality Life – coffee beans have a shelf life of 6 months, yet coffee experts agree that for the best quality they are best if used 5 – 10 days after roasting and should be brewed immediately after grinding. Although they will not spoil if kept a long period of time, they will definitely lose flavor. For further information on freshness and quality of various pantry items, click on the links below. Love + Craft Kitchen’s SHELF LIFE GUIDE FOR PANTRY ITEMS.